Many people ignore tooth or mouth pain, thinking it will go away. The truth is, the discomfort and damage caused by dental decay only worsens if left untreated. To aesthetically restore the health of teeth compromised by tooth decay, Hulen Dental use tooth-colored composite resin fillings. During your checkup or new patient exam, we’ll examine your existing dental work for wear and check the health of your teeth. If you need a new filling or want old ones replaced, our dentists will tint a small bit of composite resin to blend with the color of your existing smile, then bond the resin into the prepared cavity in your tooth to restore structure and appearance. Durable composite resin fillings won’t warp or change shape, and they resists decay, providing long-lasting protection. Call today to schedule your appointment with Dr. Cheng, Dr. Thorburn and Dr. Tijerina. Our Fort Worth dental office provides functional, aesthetically pleasing dental therapies to residents of Aledo, Weatherford, Benbrook, and surrounding areas. Tooth-colored fillings are the most conservative restoration options available for patients with tooth decay, chips, cracks, and other minor damage. 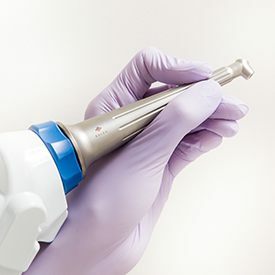 To remove damaged tissue, we used to use a dental drill, which could be uncomfortable, and we would use a needle to inject anesthetic to numb the area. 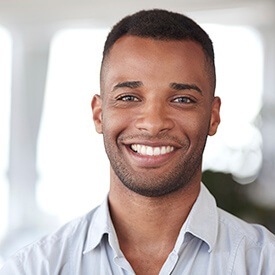 Solea lasers allow us to make these treatments even more conservative because we can prepare your smile without the use of dental drills or numbing medications, so your smile can be fully restored in complete comfort. We are one of only a very few DFW Metroplex dental offices that are able to offer injection-free fillings, using Solea laser dentistry.